Don C. Brunell joined Gordon Thomas Honeywell Governmental Affairs as vice president in January 2014. Don specializes in strategic positioning, coalition building, messaging and strategies on a variety of issues from energy, transportation, education and worker training, environment, health care, tax and regulatory policy and human resources such as workers compensation and unemployment insurance. He brings and extensive background in working with business community leaders, Washington State Legislature and our state's Congressional delegation. Previously, Don was president and CEO of the Association of Washington Business, commonly referred to as AWB, from 1988-2014. AWB is Washington's oldest and largest statewide business organization. It has 8,200 members and employs more than 700,000 workers in our state's private sector. Those members include Boeing, Microsoft, Puget Sound Energy and FedEx. 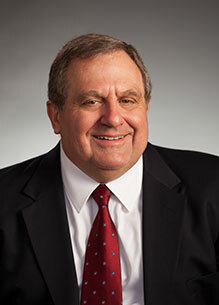 Don is a Montana native and a graduate of the University of Montana, Missoula (1968), with a BA in education. He started his career as a writer and copy editor for two Montana daily newspapers (The Montana Standard and Missoulian) before going to Washington, D.C., in 1973 as a press aide to Western Montana Congressman Richard Shoup. In 1975, he joined The Inland Forest Resource Council, an association of intermountain forest products companies, to coordinate federal timber supply and forest manage issues at the federal level. In 1978, he became Washington's issues and communications director for Crown Zellerbach Corp. and moved to Olympia. He was elected to the board of directors and executive committees of the Association of Washington Business, the Washington Forest Protection Association and the Northwest Pulp and Paper Association. In 1986, Don became vice president of Governmental Affairs for AWB and was named president in 1988. In 1992, Don retired from the Washington Army National Guard as a major. Nationally, Don is currently chairman of Conference of State Manufacturers Associations (2011-13). He has chaired the National Industrial Council of National Association of Manufacturers (2000-2002) and Council of State Chambers of Commerce (2006-2008). Don is a member of the U.S. Chamber of Commerce Committee of 100 and served on the National Association of Manufacturers (NAM) Board of Directors (1999-2003). In Washington, Don helped form the Washington Alliance for a Competitive Economy, a partnership between the Washington Research Council, Washington Roundtable and AWB. He served as secretary-treasurer for Kids' Chance of Washington and is a member of the executive committees of Business Week and the Washington Research Council and serves on the advisory board for WGU-Washington. His appointments include: the Competitiveness Council and Transforming the State Budget for Gov. Gregoire; Early Learning Commission and Blue Ribbon Workers Comp Committee under Gov. Locke; and, the Accountability Task Force for the Commission on Student Learning under Gov. Lowry. In his personal life, he has coached youth basketball and baseball and was a scout leader in the Boy Scouts of America. Don retired as a Major in the Washington Army National Guard. Don and his wife, Jeri, live in Vancouver, USA. They have six adult children and 14 grandchildren.